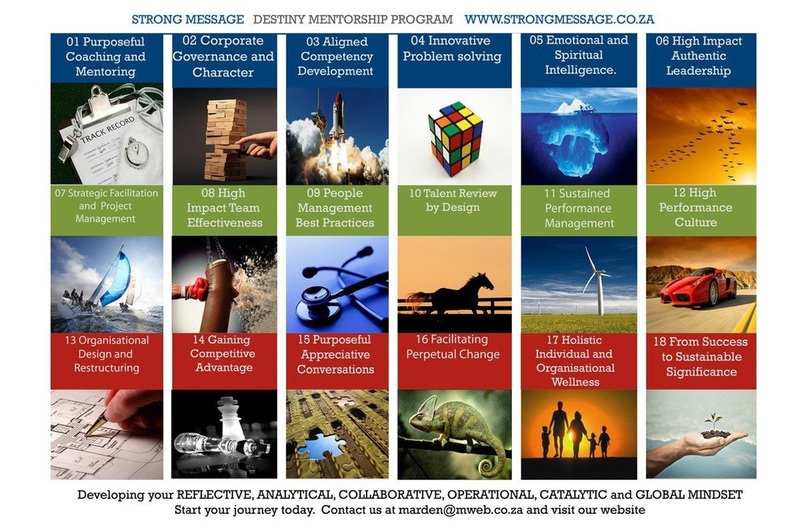 Formed in 1997 STRONG MESSAGE CONSULTANT has had a significant impact on a number of leading businesses in South Africa, Africa and other international companies. ​We work on strategy, marketing and technology across all industries and geographies. We bring deep, functional expertise, but are known for our fun approach to work. We love what we do and we love bringing our success to our clients. We at Strong Message Consultants are expert strategists, helping our clients with their most complex strategic people management challenges and build tailored solutions to help them achieve sustained growth. ​We begin by helping our clients choose where to focus in order to get the most effective boost to their business. We aim to find the most cost effective and value added route to success. • Direction setting and strategy planning facilitation. • Organisational development and renewal facilitation. • Organisational talent review, leadership pipeline planning and succession. • HR recruitment and placement. • Culture and employer of choice surveys. • Individual and organisational mentoring and coaching. • Emotional Intelligence (EQ) evaluations and feedback. Many thanks Mario – hope to talk to you soon. Dear Mario, Trust you have arrived home safe. Many thanks for the briliant presentation thisafternoon. I have had very good feedback from delegates and you have real addedvalue to all of us. The Managing Director of CRDB Bank said it clearly overdinner - that if we addressed the character issue first, the rest will fall into place. I am looking forward to working with you in the near future. Mario, Hoop dit gaan goed en jou week het goed verloop. Jy het ŉ enorme inpak gemaak Dinsdag oggend en dit was net die regte doepa vir ons sessie verderaan. "I have known Mario since 1983, having studied and worked alongside him. His prowess as an academic, a facilitator, an interventionist and an OD specialist is outstanding. In this regard, he has achieved international acclaim and has an impressive array of national and international clients. His prowess as a professional and his personal gravitas is augmented by a very affable disposition, characterised by humility and modesty. He is a true professional"
"I met Dr Mario Denton many years ago at a conference on change management, where we were both presenting. We found common ground and remained in touch from there on, sharing many ideas and time together. Mario is a deep thinker, a highly ethical person and is committed to the betterment of society and the individuals he interacts with. I strongly recommend Mario as an adviser and coach."